The finest in cinema archetypes. This month: people who chow down on other people. Activated by radiation from satellite. Only stopped by a shotgun to the head. 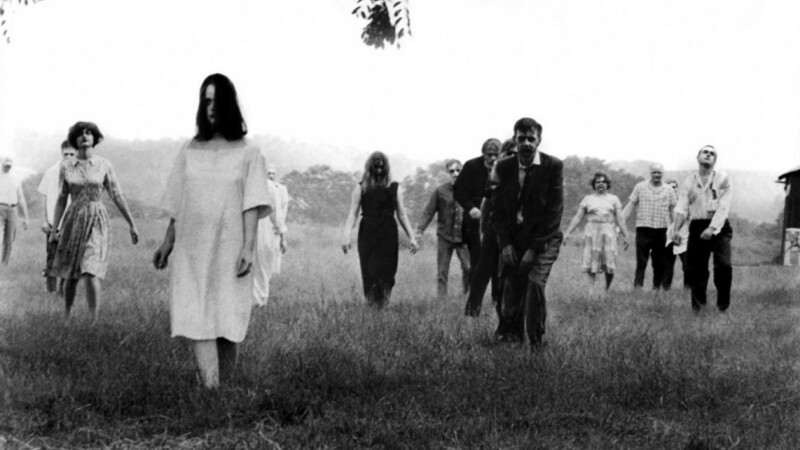 It’s a classic zombie movie and modern zombie films should take note. This is how zombies should be, slow and deadly. Inbred Mutants. Prey on all American families. Use walkie talkies and rifles. Eat babies. Disturbing, dark and terrifying, The Hills Have Eyes is exploitation cinema at its finest. Butchers people on meathooks to keep dead mum happy. Eats human innards with a spoon. This film is based loosely on real-life cannibalistic killer, Ed Gein. Survivors of 1892 cave-in. Roam London tube station. Terrifying mantra: “Mind The Doors!” Watch this movie and you will never look at the tube in the same way again. Pervert-whacking entrepreneurs who rob their victims to open, er, a gourmet restaurant. Nuff said. It’s a black comedy and one of the most bizarre movies. Out of his brilliant mind. Census takers a speciality, washed down with a nice Chianti. Hannibal is a genius that’s impossible to hate, even though he has a taste for human flesh. Arguably the most sophisticated and intelligent of all movie villains. Plane crash survivors stranded in the Andes. Eat their dead to survive. Look like Ethan Hawke. This great biographical survival film is a must-watch. Disturbingly chipper. Partial to the occasional human barbie. Describe victims as “leftovers to be”. Foul mouthed restaurant owner. Eat wife’s lover. Outrageous! This film is a mix of romance, comedy and crime. See it if you can stomach it. Fed by the local cops up applications for building supervisor. It’s a thing. Set in a post-apocalyptic future, the action takes place in a single apartment and food is in short supply. On the ground floor lives a butcher, who chops up the meat of his victims.